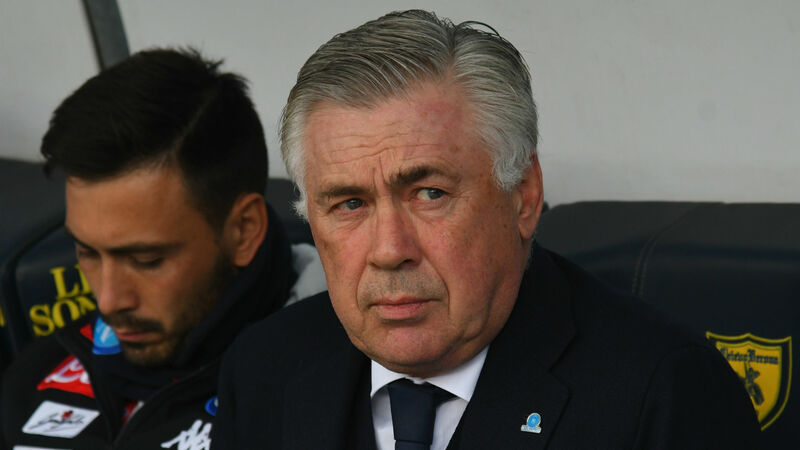 Carlo Ancelotti called on Napoli to show "courage, intelligence and passion" when they bid to overcome Arsenal in the Europa League quarter-finals on Thursday. Napoli fell to a 2-0 defeat in the first leg at Emirates Stadium, with Kalidou Koulibaly scoring a own goal after Aaron Ramsey's 14th-minute opener. However, Ancelotti remains confident the Partenopei can turn the tie around at the notoriously partisan Stadio San Paolo. Asked what three things Napoli need to reach the semi-finals, he responded: "In three words? Courage, intelligence and passion." On whether he had seen those characteristics in his squad over the past week, Ancelotti said: "Not so much courage in the first half of the first leg. Intelligence? In the second half. We risked a little bit, but we did what we had to. "We will put all our passion into [Thursday] with a lot of intensity because it will be a great chance for us. Our mentality has to be positive. I am sure all the atmosphere will help us with passion. "We want the match to last for 90 minutes, and more if it is possible. This does not mean we have to score after 30, 10 or 15 minutes. We want to keep our chances alive by being smart and confident. "We are the only Italian team left in Europe and we want it to be the same on Friday. If this isn't the case it will only be because of the results and not because of our play. Napoli will play great. I think we can qualify." Ancelotti pointed to Ajax overcoming Serie A champions Juventus in the Champions League quarter-finals on Tuesday as an example of how European football can go against expectations. "That [Juve] match teaches us that the Champions League and European clashes in general are always unpredictable," he said. "Favourites can be eliminated even if they play well, just one mistake in a single moment and condemn you to defeat. "Juventus failed in the second half of the second leg, the most important part of the tie. It's not surprising. That is the Champions League."